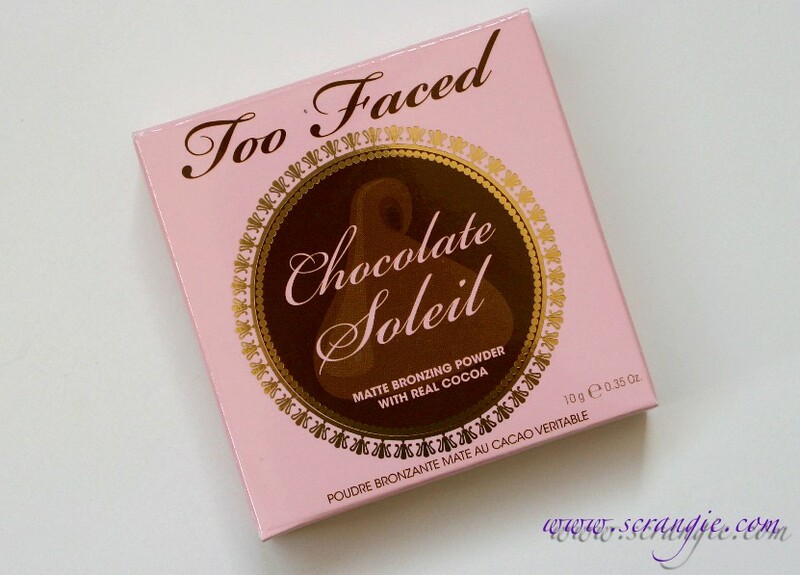 I just saw that Too Faced has a new shade of Chocolate Soleil Matte Bronzer coming out for summer, which reminded me that I have the original shade (Chocolate) and I haven't reviewed it yet. So! 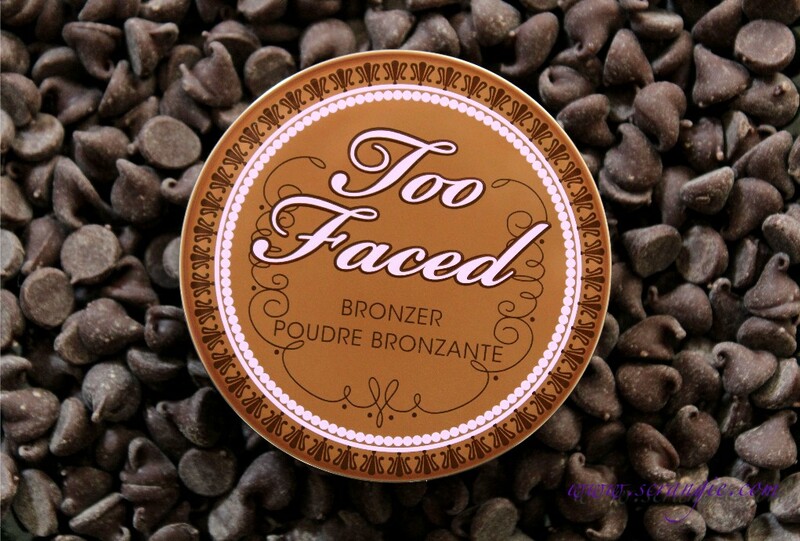 Too Faced Chocolate Soleil Matte Bronzing Powder in Chocolate. The outer box is extremely cute. It's pink, brown and gold, which is a very pleasing color combination, but it's also adorned with a giant chocolate chip behind the product name, which ups the cute factor exponentially. The bronzer compact itself is just as attractive, but no cute chocolate chip on the front. The compact flips open to reveal a full mirror. Interesting thing to note: The formula contains real cocoa. The Chocolate Soleil Bronzer in Chocolate is actually lighter than I thought it would be. It's a medium tanned brown that, unfortunately for me, has a rather warm, orangey undertone. Too Faced Chocolate Soleil Bronzer in Chocolate. No primer, natural light. The packaging. Always the packaging. Too Faced makes some of the most fun-looking product packages and this didn't disappoint. It's scented!! Not gonna lie, that's pretty much the entire reason I bought this. It has a chocolate scent that you can still smell for a little while after it's applied. The texture is very smooth and blends beautifully into the skin for a naturally sun-kissed look, not an "I'm wearing bronzer here, here and a little over here" look. Doesn't make me break out or give me any negative skin reaction. Matte formula doesn't highlight the trouble areas on my skin like shimmery bronzers can. The color doesn't work for me. Even applied lightly, it still looks orange on my skin. Very sad about that. It's pretty expensive for a bronzer, $29. 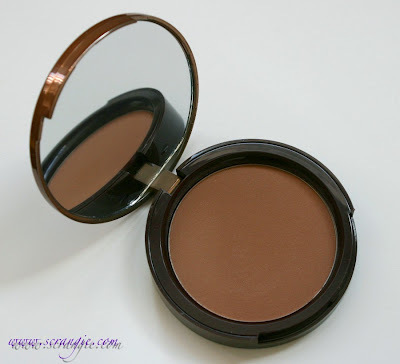 I got mine during a sale, otherwise I would have hesitated to buy a bronzer at that price without trying it first. It doesn't smell like real chocolate, but it doesn't smell bad. Maybe like chocolate scented candle. I still like it. 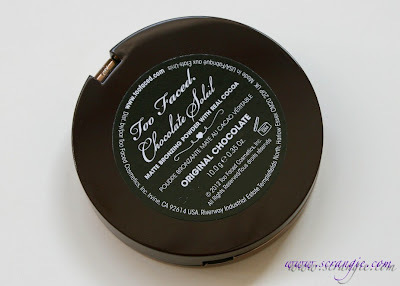 Too Faced's Caribbean in a Compact bronzer in Sun Bunny has been my holy grail/favorite bronzer ever since the first time I used it in 2005 (wow, seven years using it and I still love it), and I was hoping this would be a scented, matte version of that. The formula is fantastic, it applies and blends so seamlessly and it lasts all day. Sadly, it's just not the right color for me. Maybe the new Milk Chocolate shade will be more neutral? I kinda want to try it, I'm such a sucker for anything scented. Especially since the Too Faced scented bronzer smells better than the old Bourjois and Hard Candy scented bronzers I have. 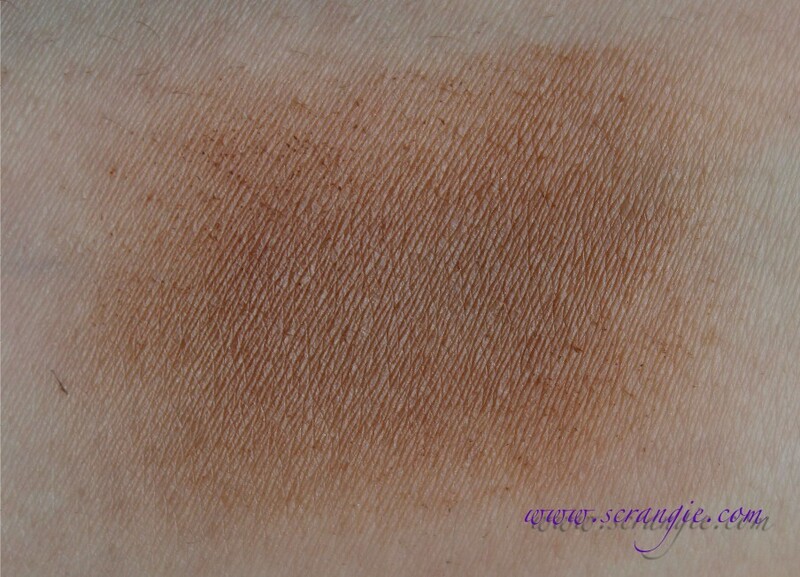 Maybe I'll have to go swatch it when it hits Sephora! I got my Too Faced Chocolate Soleil Matte Bronzing Powder from TooFaced.com. It retails at $29 for 10g / .35 oz of product. I think it is too dark for my skintone.. 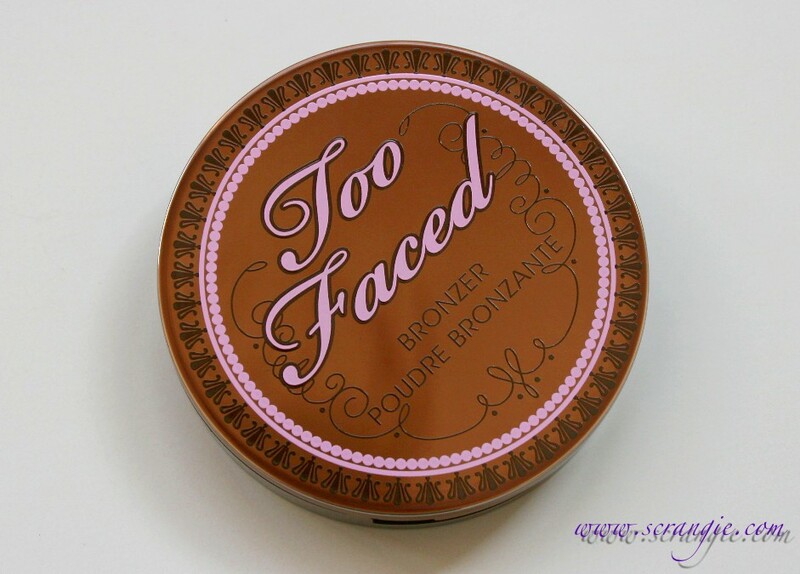 It's actually surprisingly light compared to other bronzers I have. I'm pretty fair and it wasn't too dark on me, just too orange :( The original Sun Bunny bronzer is much nicer. 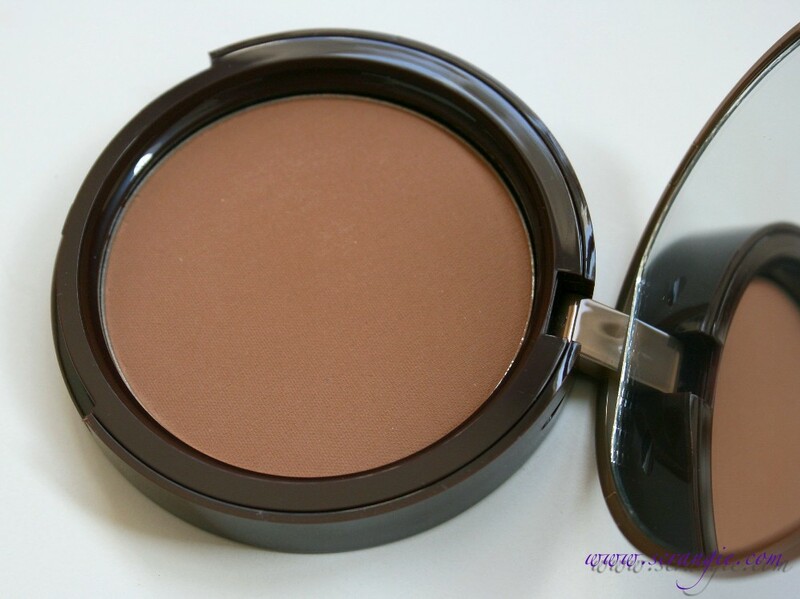 Since Sun Bunny is my bronzer of choice, too, I think I would also find this one too orange. I am curious about the scent, though. I'll have to find it on display somewhere so I can sniff it. Definitely smell it if you get the chance! I think I saw it on display last time I was at Sephora. I own this as well (purchased because I am a sucker for packaging and good smells) and I am very pale, personally -- I am generally the lightest shade in any brand's foundation. While I don't use this to give a 'sun kissed glow' to my skin, I have found it works for contouring my cheek bones. Have you tried using it as a contour? Mandy, yep, that's how I use mine! I don't like looking tan or bronzed, but I do like to use bronzer to add a little shape/dimension to my face. Maybe it's because I'm pretty cool-toned? I'm sure a fair skinned person with warmer undertones won't have the orangey-looking problem I have with this. Omg I think I would want to eat it!! Haha!